Courtesy of Sand & Sea Investments, Inc., Martine Andre. 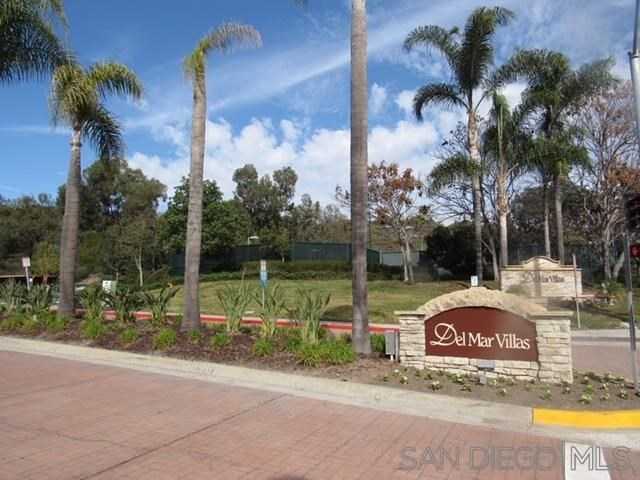 Amazing opportunity to live in Carmel Valley’s Del Mar Villas! Its location is one o the best in the complex-Close proximity to the entrance, personal covered parking space, pool, BBQ area, parklike setting, & tennis court. This second floor property has its own private walk up staircase with balcony looking through the mature green trees onto the pool. Inside you will find spacious rooms, a kitchen boasting granite countertops & stainless steel GE appliances. Freshly painted & brand new carpet.